Unfortunately, this “who moved my cheese” scenario often results in the GIS team simply reestablishing links to the same old data. By doing so, they are essentially paving the same old cow paths, rather than seeing the move to SAP as an opportunity to make the processes that drive the business more efficient. Leading an innovation-focused collaboration with the SAP team and business stakeholders can deliver productivity-enhancing business process improvements and create a higher profile for the GIS team within the enterprise. GIS is moving out of the back office. While people used to come to the GIS department for maps, today they expect maps to come to them. It’s not enough to wait for users to come knocking with requests. Innovative businesses are embedding live maps and location analytics directly into SAP applications to improve workflows, productivity, and decision making. You can use real-time maps and location analytics in SAP mobile apps for field-workers, embed them into SAP dashboards and data visualization tools, and integrate them into a wide range of core SAP Business Suite applications. But spatially enabling SAP introduces change, and change never comes easily. GIS professionals should work closely with their SAP counterparts and business users to explain and promote the benefits of integrating live maps and location analytics and then provide the expertise needed to ensure that those integration projects succeed. The resultant benefits aren’t just good for business. GIS/SAP integration is a win for the GIS team itself. It expands your stakeholder base, bringing the benefits of your work to new users in other parts of the business. It ties your work to mission critical applications and business processes, making it “sticky” when times get tight and budgets scrutinized. It frees you up to focus on more challenging work while empowering users by giving them self-service access to maps and spatial analysis within the context of the business applications they use every day. 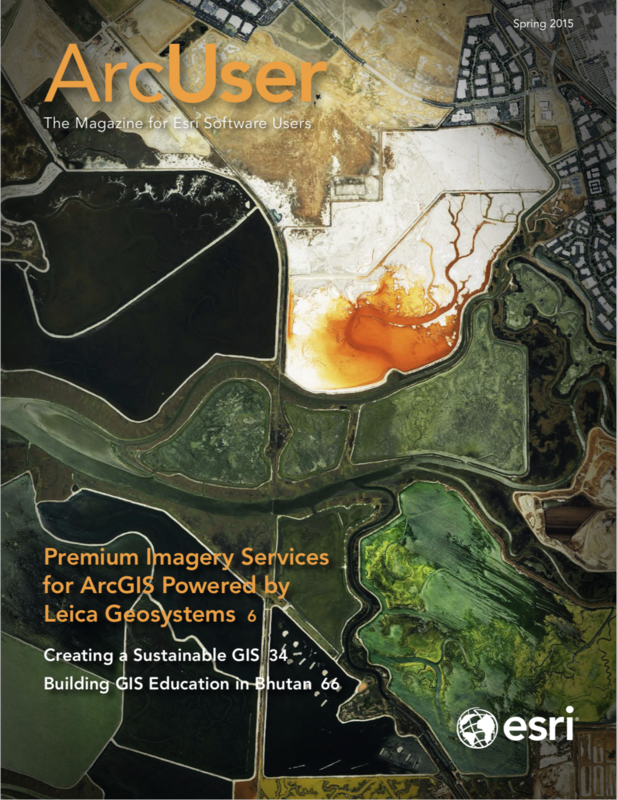 It raises the GIS department’s profile, demonstrates business value, and could lead to the allocation of budget dollars for additional GIS projects. It’s not just about maps. It’s about developing content that enables the business to identify new markets and customers, more efficiently run operations, and beat the competition. Find the business opportunities and talk in terms of business goals and measurable results. Find out what users outside your traditional constituency are trying to accomplish. Spend up to half of your time outside your department talking to other business units and the SAP team to understand the challenges they face and how the GIS team can help them. Ensure that spatial integration becomes a win for the SAP team and the business. Become a prominent part of the team. Act as a creator, curator, and aggregator of location assets. Your GIS group should become the go-to-resource for location analytics and be seen as the home base for business users. So step out of the GIS department. Find new constituents. Then strategically redefine, reinvent, and rebuild your organization to deliver broader business value for relevance—and success. For more on the business and technical details of bringing live maps and location analytics to SAP, visit esri.com/partners/partners-alliance/sap/solutions or send your question or comments to sapinquiries@esri.com. Steve Benner has been working with location analytics for more than 10 years helping users and business intelligence (BI) vendors bring the power of mapping and analysis to bear on critical business problems. He manages BI relationships for Esri. He has worked with Teradata and all the major BI vendors including SAP BusinessObjects, MicroStrategy, Information Builders, SAS, Panorama, and others, as they've implemented location into their solutions.